The classical training of mindfulness revolves around the four foundations or applications of mindfulness, depending on translation. These four foundations involve paying attention to inner experience, then outer, then both together without blending the two. It is so important to ground your bases in some form of well-established, or basic and classical truth. At the Bridging the Hearts and Minds of Youth Conference in 2012, Susan Kaiser-Greenland talked in her keynote address about the importance of having a deep and scholastic understanding of mindfulness before even thinking about addressing a classroom full of children about it. It is crucial not go about it haphazardly. The games and activities you do with your children should be rooted in scientifically proven and backed truth. This could include the classical training, or a multitude of other resources. It is also important to bring the language down to a level children can fully understand. Kaiser-Greenland believes another way of defining mindfulness is that it’s a way of looking at the world; it’s attention, balance, and compassion. Always remember to check in on your mind. Is it cloudy? Dull? Alert? Judging? Are my actions or words consistent with who I would like to be or who I would like to become? View an excerpt from Susan’s speech here, or purchase the full streaming video here. To view the entire BHMY conference, it is exclusively available here. Most of our internal narrative is fictitious, repetitive and negative. The internal narrative of children can be all of that – heightened. They don’t have the skills of experience to recognize the thought/emotion connection. How can educators help students become more aware – and in control – of their internal world? Here’s how it works. Take a break for physical activity, perhaps when you notice they’re getting restless. Try something very simple such as tortoise pose, to camel, to triangle, to warrior, to mountain, and back down again. Or walking slowly around the room. Ask the children occasionally throughout and after the sequence: what do you feel in your body? Then you can ask them to name an emotion they might be feeling: tired, happy, angry, bored, etc. This will help them to start recognizing emotions such as impulses of anger when they arise. When children learn to handle their anger (or any emotion) as an impersonal entity, they’ll be less inclined to deal with it violently either to themselves or others. The basic practices of mindfulness and yoga are a great way to show students how to free themselves from paying too much attention to the movie in their minds – and focus on the task at hand. Jon’s full speech is available for purchase in an exclusive streaming video here, and the entirety of the 2013 BHMY conference is available here. What if there was a way to teach our children skills that could help them achieve better academic performance, enhance personal development, and improve relationship skills? This past Sunday, Daniel Goleman gave a special presentation at JCC Manahattan about his latest book with Peter Senge, The Triple Focus: A New Approach to Education. More Than Sound was at the talk. We live tweeted some key points throughout the talk. Below are some highlights from the #triplefocus feed, with excerpts from a few of Daniel’s articles for supplemental reading. A wealth of information means a poverty of attention. We need to take back choice when it comes to our attention. The leader of a group sets the emotional mood of the group. Daniel Goleman addressed the importance of adopting attention-training strategies in the classroom at today’s Learning and the Brain conference in Boston. Focused, Organized Minds: Using Brain Science to Engage Attention in a Distracted World explored how today’s technology is creating more classroom distractions and disorganization. Yet, academic testing and Common Core State Standards require students to be more focused and organized in order to succeed. We followed attendee’s enthusiastic commentary about Dr. Goleman’s presentation on Twitter. Below are some highlights from #LB39 feed, with excerpts from a few of Daniel’s articles for supplemental reading. There’s no doubt that IQ and motivation predict good grades. But when you enter the working world, IQ plays a different role: it sorts people into the jobs they can hold. Stellar work in school pays off in getting intellectually challenging jobs. 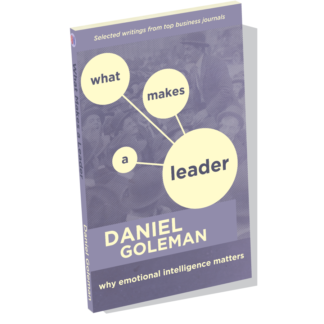 #lb39 @DanielGolemanEI Attention is a mental muscle – we can strengthen it. The more a youngster can practice keeping her focus and resist distraction, the stronger and more richly connected this neural real estate becomes. By the same token, the more distracted, the less so. This mental ability is like a muscle: it needs proper exercise to grow strong. One way to help kids: give them regular sessions of focusing time, the mental equivalent of workouts in the gym. 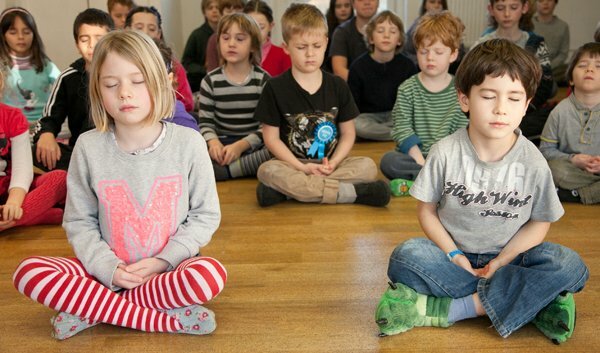 I’ve seen this done in schools, with second-graders becoming calm and concentrated with a daily session of watching their breath – the basic training in bringing a wandering mind back to a single focus. The brain’s wiring gives preference to our emotional distractions, creating pressing thought loops about whatever’s upsetting us. Our brain wants us to pay attention to what matters to us, like a problem in our relationships. 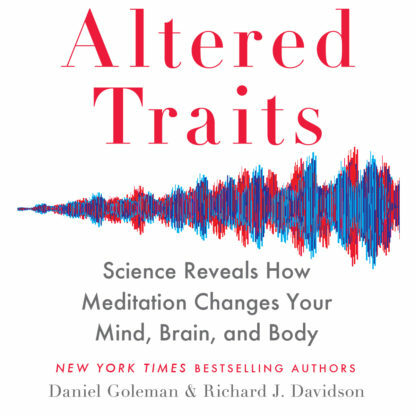 There is now quite a bit of evidence to indicate that the circuits in the brain that play a role in regulating our attention, and very rigorous behavioral measures of attention, change in response to mindfulness meditation practice. One of the central indices of that change is our capacity to not be hijacked by distracting events in our environment, particularly distracting emotional signals, which often pull us away from our task at hand. 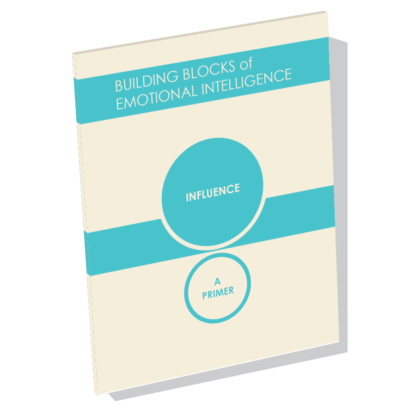 The more we understand the process of developing systems intelligence, the more we see the close connections between understanding self, understanding other, and understanding the larger systems to which we all belong. This suggests great potential for partnership between Social and Emotional Learning, or SEL, and systems thinking. For instance, these concepts have a unique synergy when it comes to enhancing personal decision making. 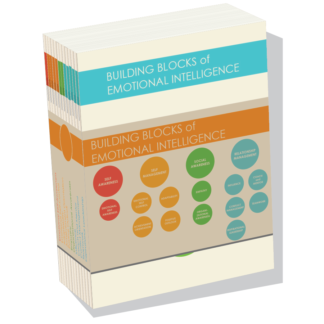 The self-awareness and self-management tools SEL offers enhance cognitive efficiencies of all kinds: if a child can calm her disturbing emotions, she can think about systems more clearly. And the empathy and social tools of SEL opens students to the perspectives and feelings of others, so they can better take the other person into account. Combine that with the systems insights that allow a more comprehensive understanding of human dynamics, and you’ve got the constructs and tools for better interpersonal decision making – whether it’s how to handle a bully, or what to do about not getting invited to the prom. Our capacity to care and our systemic awareness are inter-connected. In some very fundamental sense, all ethics are based on awareness of the consequences of actions. If I can see no effect of my actions on another, I see no ethical choices. We are seeing that the more kids are steeped in systems thinking, the more they express their innate predisposition to care at a larger and larger scale, whether it is in measuring how water is used in their school in a water-scarce region, or sharing the food from their school garden with their family. A second potential area of synergy could be a rethinking of children’s cognitive development and potential. The findings of the past ten years or so, especially the work with young children, raise some big questions for the established views of the “cognitive ladder,” which place skills like synthesis at the top, with the presumption that this is what students will learn in college or graduate school. We suspect the cognitive ladder as most educators know it today is shaped more than we can see by the reductionist bias of the western theory of knowledge. This is a theory that fragments, breaking complex subjects into smaller and smaller pieces. It is why, literally, an ”˜expert’ in modern society is someone who knows a lot about a little. With reductionism comes a natural bias toward analysis over synthesis, studying the pieces in isolation or analyzing subjects within arbitrary academic boundaries, like the separation of math from social studies or economics from psychology. This bias toward fragmentation and analysis is evident in the typical progression embedded in standard curricula toward more and more narrowly defined subjects, which progression continues right through college. But if we start with a view that everything in the universe is interdependent, and that all humans have this innate systems intelligence, then we would have a different cognitive ladder. It would be more of a spiral. You would start with the idea that real thinking involves both reflecting on inter-dependence as well as about elements individually: synthesis and analysis. You would integrate movement along these two dimensions over time with a developmental progression. A third important synergy between SEL and systems thinking has to do with transforming pedagogy and the culture of school. For example, a key to making such a spiral view of cognitive-emotional development practical in real educational settings is profound respect. You don’t try to teach kids something that has no meaning to them, something that does not connect in any way with their lives. But unfortunately, that’s still the modus operandi for 80-90% of school curricula. In contrast, students at every level find SEL compelling because it helps them deal directly with the issues that matter most to them: bullying, friendships, getting along, and the like. Respect the learner’s reality and processes of understanding. Focus on issues that are real to the learner. Allow students to build their own models, construct and test their own ways of making sense of problems. Build students’ ability to be responsible for their own learning. Encourage peer dynamics where students help one another learn. Perceive teachers as designers, facilitators, and decision makers (more than “curriculum deliverers”). This requires that teachers have strong content knowledge, continually being advanced through robust peer-learning networks. This is an excerpt from Peter Senge’s portion of The Triple Focus: A New Approach to Education. 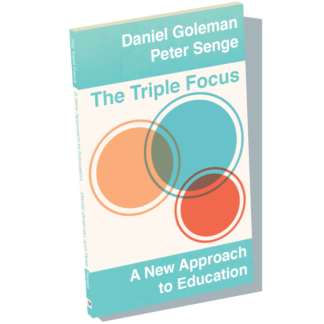 Daniel Goleman recently spoke with CASEL (Collaborative for Academic, Social and Emotional Learning) about his latest book with Peter Senge, The Triple Focus: A New Approach to Education. Treat students and teachers as co-learners. Foster students learning with and from one another, and encourage them to develop responsibility for their own learning. Use the real-life situations that students care about to foster reflection and growth, both emotionally and cognitively. Choose teaching tools that are specific for these applications. The attention-training methods being tried in classrooms today offer a well-tested way to help children enhance their cognitive control, which is central to self-mastery. Adding a focus on enhancing empathy and concern for others adds a fresh emphasis that should lead to better relationships and teamwork. And systems learning offers constructs that can help SEL students better understand relationships, families, schools, and organizations. 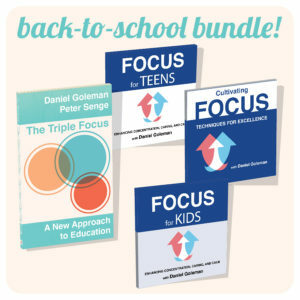 All three together offer an invaluable increase in the life skills learning that is part of SEL. 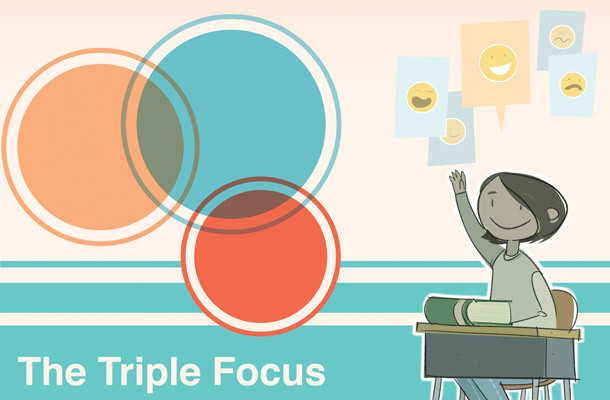 We’ve also put together a collection of resources for educators, school administrators, and parents to introduce the triple focus to students. Consider this: most American children have never known a world without the Internet. And in more and more parts of the world, most children have never known a time when there wasn’t a handheld device they could tune in to, and tune out from the people around them. Kids are now growing up in a world that’s incredibly different from just a generation ago,and it’s a world that will change even more as technology evolves. But the changes go beyond technology. Children are also growing up in a culture facing unprecedented social and emotional challenges that they’ll need to address. 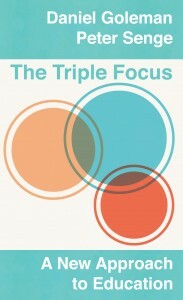 The Triple Focus is your guide to help prepare them. What are the tools that we can give kids today that will help them on this journey? 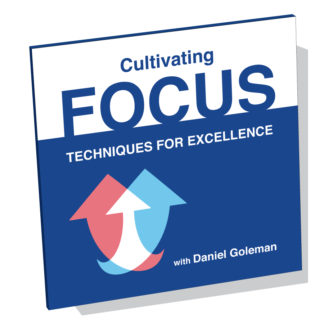 In The Triple Focus, Peter Senge and Daniel Goleman describe the three types of focus needed to navigate a fast-paced world of increasing distraction and endangered person-to-person engagement. 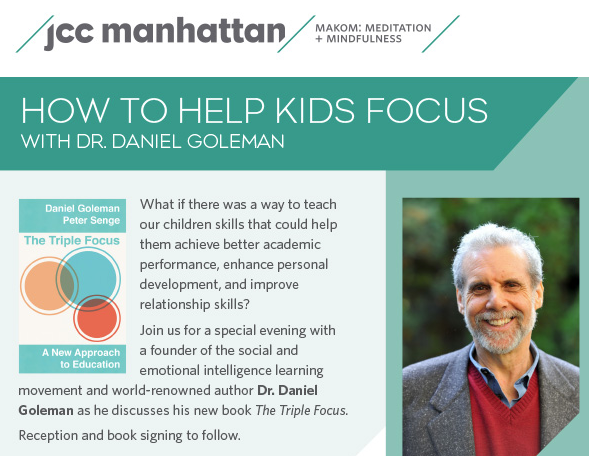 Dr. Goleman makes the case for teaching children the first two types of focus: self-awareness and self-management; along with empathy and social skills. He offers case studies and research proving how these skills benefit both personal development and academic performance. He also shares examples of how some schools are already teaching their students these vital skills. Dr. Senge explains systems thinking: analyzing the dynamics of when I do this, the consequence is that, and how to use these insights to enhance learning. He also reveals the innovative systems thinking skills being taught in schools today, and what this reveals about the innate systems intelligence of children.